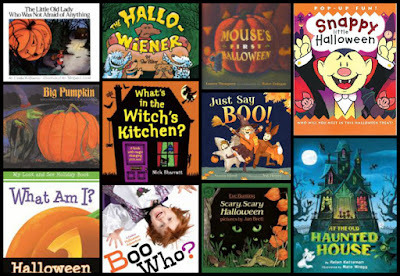 I've already done two weeks worth of Halloween storytimes and am in the middle of two weeks of Monster storytimes with the Storytime-To-Go program, so I wanted to either find different books, or tweak the theme a little, for my regular outreach storytime today. I decided on "Zombies" for two reasons, (1) I found a great book, and (2) the season premiere of "The Walking Dead" was this week, and while it is most definitely NOT a show for kids, many adults watch it [I don't] so zombies have been a hot topic as a result. So for my friends and family who were traumatized by this week's premiere, hopefully this storytime will cheer you up! 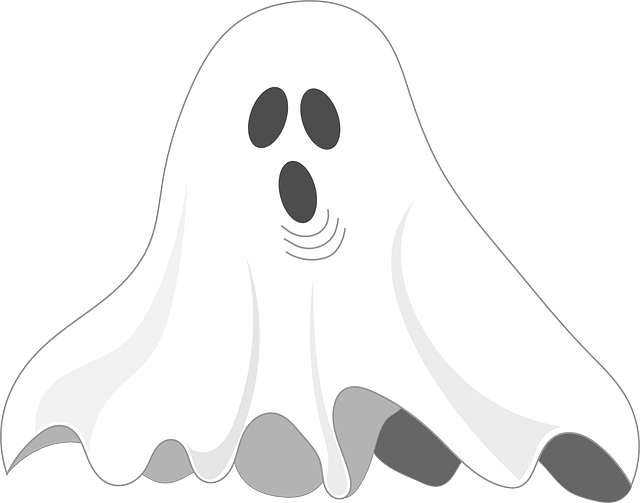 We started with our usual welcome song, then during our introduction we talked about Halloween and shared what we were dressing up as, discussed various monsters and how it was fun to pretend to be scared, then sang our story song. 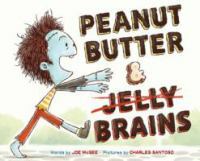 I used the first book, Peanut Butter & Jelly Brains by Joe McGee and Charles Santoso, to introduce the topic of zombies and their normal diet being brains. Reginald is an unusual zombie. Instead of brains, he craves peanut butter and jelly sandwiches! He finally gets one, and then shares it with the other zombies, who subsequently give up their diet of brains and become integrated into Quirkville society. Reginald then moves on to....pizza! 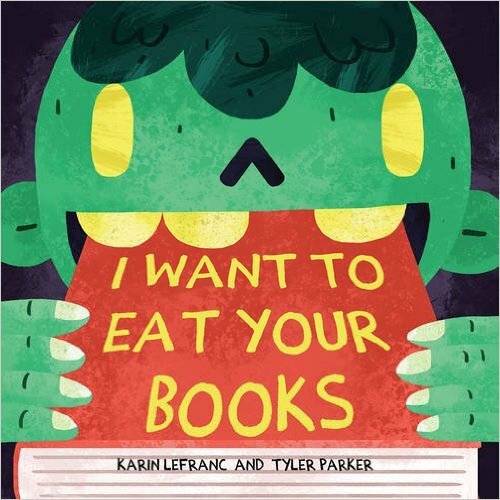 I went straight to our second book, I Want To Eat Your Books by Karin LeFrank and Tyler Parker, because they were listening pretty well, and it continued the theme of atypical zombies who eat something other than brains. 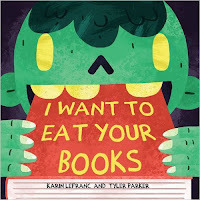 This little book-eating zombie finds his way to the school library, threatening to eat all the books. One inspired little boy shows him a book about the brain, and the zombie learns to appreciate books and wants to read them, not eat them. At the end, they find the zombie sharing his new-found love of reading with a mummy. Then we were ready to have fun with some monster dancing, "Zombie Style"! I came across this cute parody of Psy's "Gangnam Style" and knew I had to use it. While the original song is before these kids' time, it still has a great beat. The "video" below is the original recording that I used for us to dance to, but check the end of this post for some really cute videos a couple of different schools made. Next, we danced to the classic "Monster Mash" by Bobby "Boris" Pickett and the Cript Keepers, using movement scarves. After they were tired out from dancing, I had them all sit down for one last story, Zombelina by Kristyn Crow and Molly Idle. 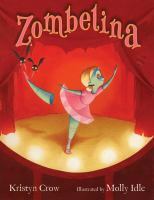 This is the story of a little zombie girl who loves to dance, so her mother signs her up for a proper ballet class. Zombelina excels in the class, but on the night of the big recital, she has a terrible case of stage fright and freezes. Her stiff movements and anxious groans frighten her classmates and audience, but when she sees her family supporting her, she puts on such an incredible performance, her teacher declares her the best in the class. Today was a clear case of "I should have quit while I was ahead!" They really liked the first two books, though I was a little surprised (though pleased) that the kids had a much stronger reaction the the idea of a zombie eating all the books in the second story than they did to the idea of the zombie horde being after people's brains in the first book! Maybe because the zombies never actually ate any brains, just wanted to, but I was still glad to see the kids had such strong feelings about using books appropriately and protecting their books. The kids enjoyed dancing to both songs, but I would have to say they LOVED "Zombie Style", even though they are too young to know the original song. They liked pretending to be zombies, and the song has a really upbeat tempo and techno sound, that helps off-set the rather dark lyrics (I don't think the kids were even really aware of what any of the lyrics really were, other than hearing the words "zombie" and "brains"). Most of the kids got into dancing, though a few didn't, or tired out early. Up until this point, things went great. But I pushed and made the mistake of trying to do a third book. They had absolutely no interest in Zombelina whatsoever. I think there were a few reasons,(1) even though they were tired from dancing, they weren't ready to focus on anything, (2) Zombelina was a little too tame compared to the first two, (3) None of the books I had selected were very interactive, and (4) they were just done. So, I quickly flipped through the pages, greatly shortening and paraphrasing to mercifully get to the end. They didn't get too out of control, so it wasn't a disaster or anything, just would've been better if I had stuck to the two books. Check out these two "Zombie Style" videos made by different elementary schools as part of a competition! Didn't they do a great job?? Last week I helped the school librarian with the book club at the local middle school. Her goal is to get as many kids involved as possible, not just the avid readers. So she chooses 5 books each year, of various genres and with a range of reading levels, and recruits volunteers to help lead discussion groups. Each month a different group of kids participate, with about 12 assigned to each group, then we meet in the library and break into discussion groups for each book, lead by adult volunteers (most of us work at public libraries). The books for this year are Do You Know The Monkey Man? 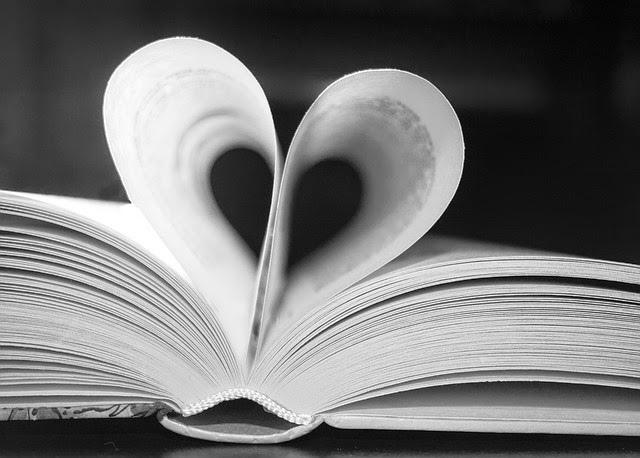 by Dori Hillestand Butler, Heat by Mike Lupica, Among the Hidden by Margaret Peterson Haddix, The Ghost of Graylock by Dan Poblocki, The Ruins of Gorlan by John Flanagan. This month I led the discussion of Do You Know The Monkey Man? by Dori Hillestand Butler (2005). This is a good high-interest, lower reading level book that, at only 193 pages, will appeal to both reluctant readers and those who like something they can finish in one sitting. For as long as 13-year old Sam can remember, it's just been her and her mother. A long time ago they were once a family of four, but her parents divorced following her twin sister Sarah's tragic death, and her father disappeared from her life. But now her mother is getting re-married, and wants her fiance, Bob, to adopt Sam, which brings up old memories and confusing feelings. Sam likes Bob, and wants her mom to be happy, but she doesn't want him to adopt her when she already has a father, somewhere. She decides to try to find and contact her father, with the help of her friend Coral. But things don't go quite the way she expected, and she begins to have doubts about the story surrounding Sarah's death. She continues to investigate, and when she finally confronts her father, what she finds will turn all their lives upside down. This book is part self-discovery, part mystery, and part family drama, and is sure to capture the reader's attention. 2. How would you go about finding a long lost friend or relative? 3. Would you consult a psychic like Sam did? 5. Would you be willing to help your best friend like Coral and Angela helped Sam? 6. Do you think Joe should have gone to jail? 7. Do you think Sam and T.J. will be able to forgive Joe? Could you? 8. Do you think Sam's mom will ever be able to forgive Joe for taking Sarah and letting her think she was dead all this time? Why or why not? 9. Why do you think Sam didn't want Bob to adopt her? How do you think you would feel in a similar situation? Do you think she may change her mind now that she's found her father and learned what he did and what he's like? 10. Do you think T.J. and Sam will ever be close, and really be like sisters? Will she and Suzanne be able to have a mother-daughter relationship? 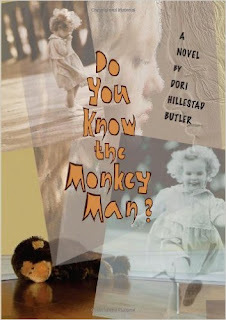 I had about 10 girls, and most were very enthusiastic about the book, and some had even already read the sequel, Yes, I Know The Monkey Man, which continues the story from T.J.'s perspective. 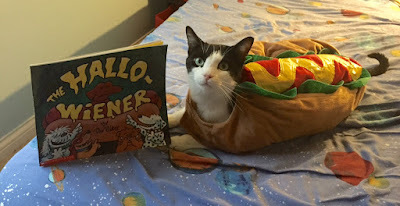 About four of them weren't even supposed to participate until next month, but they had already read the book and couldn't wait to discuss it. We had a pretty lively discussion, with all of the kids contributing, though there were 2 or 3 who were on the quieter side and did not say as much. They all talked about how much they loved the book, and the ones that had not read the sequel already said they really wanted to. One girl happened to spot it on the shelf nearby and jumped up and grabbed it so she could check it out that day. She was one of the two girls who reported that they normally didn't read much, but that they read this book from start to finish in one day. We had a great discussion, and the several of the kids mentioned how much they enjoyed it, and one even gave me a hug, which I expect from the preschoolers, but not middle schoolers. 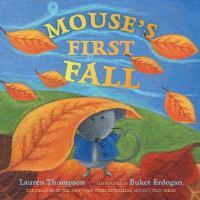 I had not heard of this book before, and the library I work at doesn't even have it, but I would highly recommend it for this age and found it a great choice for a class read or book club as it appeals to all readers, even reluctant ones. I personally enjoyed it as well, though did not find the sequel to be quite as good as the first one. From the title and the cover, I had expected it to be more creepy and sinister, but it isn't at all. With the upcoming election and all the inescapable coverage and conversation about it, kids are bound to be asking questions. Here are some fiction and non-fiction books to help them understand, and give adults a respite from all the drama and negativity of the real election. Duck for President by Doreen Cronin & Betsy Lewin (2004). Duck finds that holding office is not all it's quacked-up to be [Sorry, I had to!]. A classic. President Squid by Aaron Reynolds & Sara Veron (2016). Squid thinks he has the right stuff to be President. Max for President by Jarrett Krosoczka (2008). Max wants to be class president, but so does Kelly. Who will the class choose? Grace for President by Kelly DiPucchio & LeUyen Pham (2012). Grace thinks its time for a female President. Otto Runs For President by Rosemary Wells (2008). Charles and Tiffany are running for school president, but they care more about winning than what the voters want, so Otto decides to enter the race. Monster Needs Your Vote by Paul Czajak & Wendy Grieb (2015). Told in rhyme, Monster goes to cast his vote, then decides to throw his hat in the ring. My Teacher For President by Kay Winters & Denise Brunkus (2008). Oliver decides his teacher would be perfect for President. Madam President by Lane Smith (2008). A little girl imagines what it would be like to be President. One Vote, Two Votes, I Vote, You Vote by Bonnie Worth & Aristides Ruiz (2016). The Cat in the Hat explains elections and voting. If I Ran For President by Catherine Stier (2007). Explains the process of running for President, and presidential qualities. So You Want To Be President by Judith St. George & David Small (2004, updated edition). 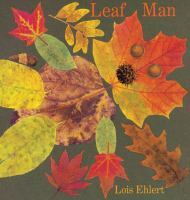 This Caldecott-winner tells a little bit about being president and those who have held the office. If I Were President by Catherine Stier & Diane DiSalvo-Ryan (1999). Children of various ethnicities imagine what it would be like to be President. The People Pick A President by Carolyn Jackson (2012). From Scholastic, for older kids. 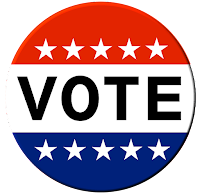 Vote! by Eileen Christelow (2008). 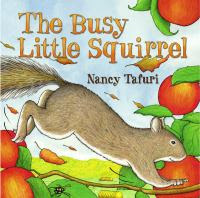 From the author of the Five Little Monkeys series comes a book about elections and the importance of voting.